In our Whiskystats database we track the prices of tens of thousands of different scotch and japanese single malt whiskies. And yet we do not cover all of the different bottlings and expressions which are out there on the market. This is why you now have the possibility to add custom bottles to your collections. You will define your own purchase prices for this bottles as well as the latest price information which is known to you. In this way we can include these custom bottles when we estimate the total value of your collection or calculate the historic price development. The first step is of course to create such a custom bottle. To do so, simply navigate to Your Collections and click on “Edit” for the collection you want to add a bottle. Below the listings of your bottles you will find a button called “Add Custom Bottle”. This will direct you to a form where you can define the characteristics of your whisky. After that, simply click on “Add Bottle” and the bottle will be added to your collection. In your collection stats it will be displayed under “Custom Bottles”. 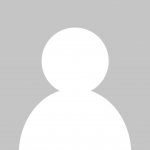 Please Note: The custom bottles you create are not visible to the other Whiskystats users. When you create a custom bottle you can define your purchase price and date as well as the latest price observation and the date of this latest price observation. When you edit your collection, you can update this latest price observation by clicking on “Update Price”. Thereby, the latest price date will be moved to the current month and year. Note that custom bottles are always treated like if they were still in your collection when we calculate your collection´s indices. This means that there is nothing like a “Collection History” for custom bottles like there is for normal bottles of our Whiskystats database. When editing your collection, you can also add another bottle of an already created custom whisky. This added bottle will have the same purchase and latest price information. Likewise you can remove custom whiskies bottle by bottle from your collection. 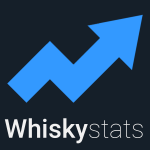 So from now on you can fill those empty spots of the Whiskystats database with your own whiskies and price observations. We hope that many of you find this feature helpful! This topic contains 11 replies, has 5 voices, and was last updated by Whiskystats 6 months, 1 week ago. Unfortunately I do not have a Mac/Safari setup to test this and on Windows/Firefox everything works fine. Please note that the buy-date has to be strictly smaller than the date of the latest price observation. I will add some kind of warning message for this issue. Hibikis are no single malt whiskies, hence there are currently not tracked by us (maybe we add blends some day in the future). The Yamazaki Limited Edition 2017 will sure be added in the next one or two months (we always wait for a second price observation to list a whisky). I tried to put in 3 diff price observations from other auction houses to give myself a visible development .So I put in a 2015 februari with price and tried to add a price update for a 2017 price obs, but unfourtneatltiy it didntwork out . the custom bottles only take two price observations: your buy price and the latest price observations you have. Hence they do not allow for tracking the price development. Only the relative change from your buy price to the latest price is considered. When you update the latest price observation it will be set to the current month with the value you typed in. How many decimals did you try to enter? It should allow for two (e.g. 40,63% vol). It also should accept both comma (“,”) and point (“.”) as the decimal sign. But maybe you could try both. There is no Macallan 12 years Sherry Oak in the list ? I am pretty confident that the bottle you are looking for is listed in our database. My best guess is that only its series is not set to “Sherry Oak”. (note that you find pictures of the bottles when you click on one of the “Latest Observations” at the bottom)?